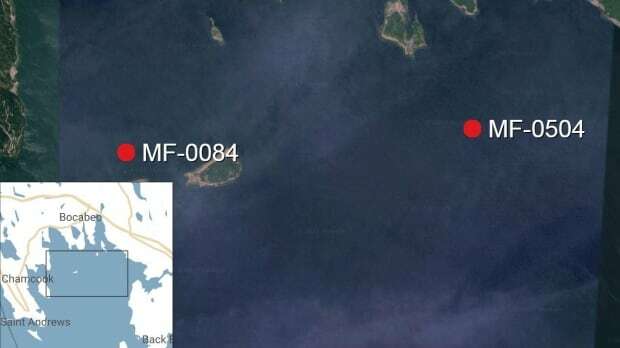 Documents filed with New Brunswick's Court of Queen's Bench reveal an environmental disaster was only narrowly averted last summer in the Bay of Fundy. The incident is tied to an outbreak of sea lice at aquaculture sites managed by the Gray Group, which had slipped into receivership owing millions of dollars to creditors. More than 250,000 salmon died from the fast-growing infestation before contractors managed to gain the upper hand. An additional 284,000 salmon were pre-emptively killed to contain the spread. Details about the event are laid out in a report and supporting documents written by Ernst & Young receiver George Kinsman and included in the file. Kinsman describes fears at the height of the crisis that hundreds of tons of rotting salmon would wash up on the shoreline at Saint Andrews during last summer's tourist season. Kinsman, a chartered accountant and vice-president with the firm, had been appointed to manage the aquaculture company and to find a buyer for its assets. He had only been on the job for weeks when a spike in sea lice counts was discovered at Hospital Island, one of three salmon farms the Gray group of companies operated in Passamaquoddy Bay near Saint Andrews. The documents describe a race against the clock as Kinsman tried to convince insurers that more than 500,000 fish at Hospital Island and a nearby site at Hog Island needed to be killed to prevent the spread of the infestation to other areas. Kinsman had been informed by insurance adjuster Greg Potten of a provision in the insurance policy against "intentional slaughter" that would prevent coverage for the loss of the fish. In an email to Potten, Kinsman describe a potential "environmental disaster" if the fish were not pre-emptively killed, "with 600 tons of rotting biomass washing up along the Saint Andrews sea shore line, resulting in unsightly and unbearable odours that will affect the seaside vacation townships." Without a green light from the insurer and with sea lice counts quickly climbing at the two cage sites, Kinsman went ahead with arrangements for contractors to collect and kill the fish. Another letter, from the Department of Aquaculture's chief veterinarian, suggested the company should go even further and pre-emptively kill all fish at all three Gray-owned farm sites in the bay. "With great certainty, as the Chief Veterinarian Prov. of NB, I can attest that all of the fish at the three indicated sites will expire within the next 30-60 days," wrote Michael Beattie. Not to kill the fish now, he suggested, would be to create a "catastrophic event." Kinsman hired contractors with pumper boats to collect the live salmon at the Hospital Island and Hogg Island farms, but the workers discovered nearly half the fish, or 252,000, had already died from the sea lice infestation. The remaining fish were "euthanized," although the report does not say how that was done. The effort managed to contain the sea lice problem, fish at the third Gray farm, near Simpson Island were sold in September of 2016. Saint Andrews Mayor Doug Naish says neither he nor town staff were aware of problems last summer at Hospital Island, which is visible from the popular tourist town. "No one had any knowledge of this whatsoever," Naish said. The executive director of the Atlantic Canada Fish Farmers Association, an aquaculture industry group, said the incident was a "great concern" for her members. 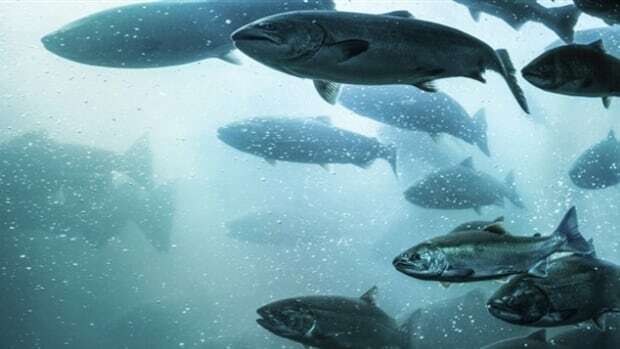 "There was a salmon farming company that was no longer able to manage its farms and take care of its fish and an accounting firm was trying to manage it," wrote Susan Farquharson. "Our members were concerned about animal welfare and bio-security." Farquharson said quick action by members of her association helped the receiver gain control over the "unfortunate situation." Reached by CBC News, Kinsman said his report is a public document and he did not wish to say more. But environmentalist Matthew Abbott of the Conservation Council of New Brunswick questions whether the three Gray sites are appropriate places to allow salmon farming. Abbott said there were problems before in north Passamaquoddy Bay. "The area isn't really flushing," said Abbott, the council's Fundy Baykeeper. "There didn't really seem to be a way to stop someone from essentially restarting an operation in an area where we had good reason to expect there would be problems, and indeed they had the very problems we could have expected them to have. That was certainly a disappointment." A spokesman for the New Brunswick Department of Agriculture, Aquaculture and Fisheries said the three former Gray sites are not being used and will remain vacant until at least April of 2018. The assets of Gray Group, including the company's leased farm sites in New Brunswick and in Newfoundland and Labrador, were later sold for $15 million to Marine Harvest, a company with extensive operations in Norway and Western Canada. A spokesperson said the company is developing a business plan for operations in the Bay of Fundy.